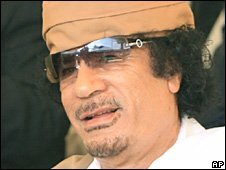 US Secretary of State Condoleezza Rice hailed as “historic” her visit to Libya to meet its leader Muammar Gaddafi. But she pointed out the “suffering” caused by the North African country’s long stand-off with the West. 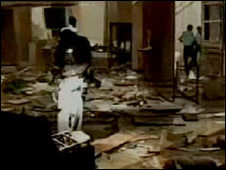 Libya was on the US state department list of sponsors of terrorism until 2003, when it abandoned weapons of mass destruction and renounced terrorism. 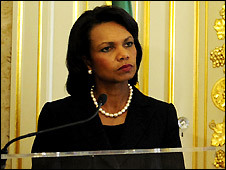 Ms Rice will be the first US secretary of state to visit Libya since 1953. “It is a historic moment and it is one that has come after a lot of difficulty, the suffering of many people that will never be forgotten or assuaged,” Ms Rice told a news conference in Lisbon, Portugal, before leaving for Libya. Her trip will also include visits to Tunisia, Algeria and Morocco. But the visit could be overshadowed by Libya’s failure so far to honour a deal offering compensation to families of victims of the 1988 Lockerbie bombing. Six years ago, such a visit would have seemed far-fetched, but diplomacy and political will have overcome the obstacles. The US State Department have described it as a “new chapter” in relations between the two countries, following on from the restoration of diplomatic ties in 2006. 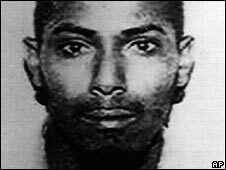 Earlier this month, Libya agreed to pay compensation to families of the victims of the Lockerbie aircraft bombing, for which it formally accepted responsibility in 2003. 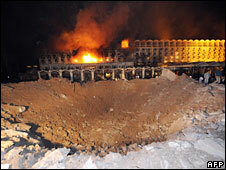 The deal includes compensation for Libyan victims of the United States’ retaliatory bombing raid over Libya in 1986. Ms Rice’s visit was partly intended to be a reward for successful completion of the deal, but Libya has not yet transferred the promised hundreds of millions of dollars into a humanitarian account. The US Assistant Secretary of State for Near Eastern Affairs, David Welch, told Reuters that he was optimistic the transfer would happen soon but that Ms Rice would press Libya on this issue. Col Gaddafi has stopped short of referring to America as a friend, but in a televised speech this week he said improved relations were a way for both countries to leave each other alone. Assistant Secretary of State Paula DeSutter told a briefing in Washington on Thursday that the visit would show other countries they have “a way forward” if they change their behaviour and co-operate with the US. Our correspondent says that although the visit is largely symbolic diplomacy, many in Libya hope that US-Libyan relations will only improve in the long-run. Negotiators from the US, South Korea and Japan are to meet in Beijing to discuss the deadlock over North Korea’s nuclear program. The talks follow initial moves by North Korea to reverse steps to dismantle its nuclear plant at Yongbyon. North Korea accuses the US of failing to meet its obligations under a six-nation aid-for-disarmament deal. 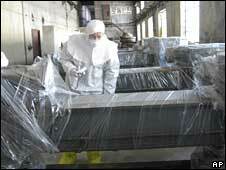 This week it began moving some disassembled parts out of storage and back to the Yongbyon reactor. 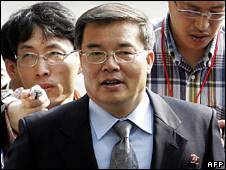 “We need to break the deadlock at an early date,” South Korean negotiator Kim Sook said as he left for Beijing. 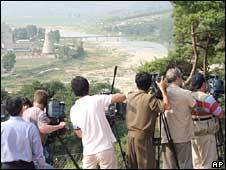 North Korea agreed in February 2007 to give up its nuclear ambitions in return for aid and diplomatic concessions. 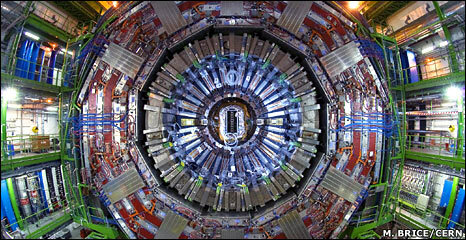 In June it handed over long-awaited details of its nuclear facilities. 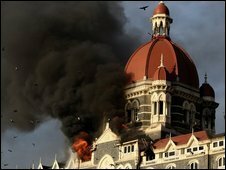 In return, it expected the US to remove it from the list of state sponsors of terrorism. But the US wants North Korea to agree to a process of verifying the information – something the two sides have so far failed to do. 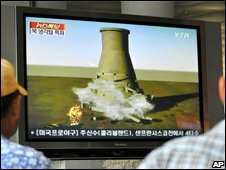 Last week North Korea announced it had halted disabling work at its Yongbyon nuclear reactor. Officials from countries negotiating with North Korea now say that it is moving some equipment out of storage and back to the plant. Envoys from the US, Japan and South Korea will hold a hastily-arranged meeting later on Friday. A Chinese negotiator will join the talks on Saturday. “There is no information on whether North Korean officials will come to Beijing,” the South Korean envoy said. In a separate development, North Korea has announced that it will delay a fresh probe into the abduction of Japanese citizens in the 1970s and 1980s to train spies. In 2002, it admitted that it had kidnapped 13 Japanese citizens. Five have been returned and Pyongyang says the other eight died. But Japan insists that North Korea abducted more people than it acknowledges, and wants more proof of the eight deaths. North Korea said it would hold off on the probe until it established the policies of the new Japanese leader. Prime Minister Yasuo Fukuda announced his resignation earlier this week and the current favorite to replace him is the ruling party secretary-general, Taro Aso. 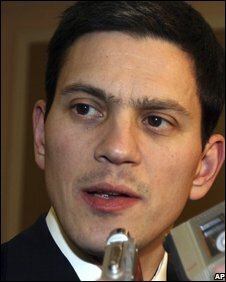 A well-known hawk, he has called for a tougher line towards North Korea – something that will worry the communist state.